Headfort Golf Club was founded in 1928 and was an 18-hole mature Parkland Course, situated half-a-mile to the south of the heritage town of Kells in County Meath. The services of Ryder Cup hero Christy O'Connor Jnr. 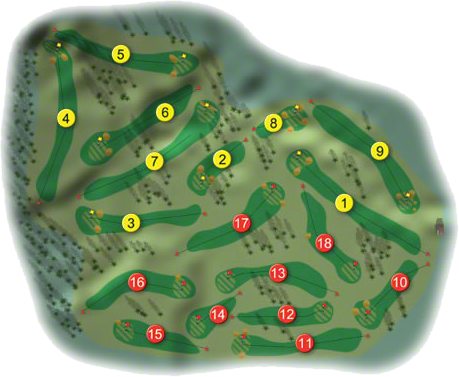 were retained to design a new 18-hole course. This is a truly magnificent layout and the jury is out on which is the better course. 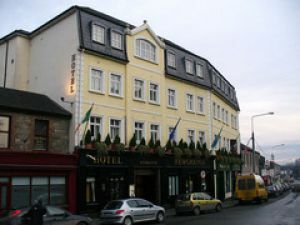 Either way Headfort can boast two superb courses. The Championship course measures 5,973 m Par 72 with a standard scratch of 71 off the white tees. Some of the finest specimen trees in the country can be found on this course that has hosted PGA championship and Inter-Provincial Championships in recent years. A new spacious clubhouse was opened in 1994 with full bar and catering facilities for members and visitors alike. Architecturally the clubhouse is a credit to the committee and members alike. Corporate groups, Societies and casual Green Fees are always welcome and you are assures of a memorable game of golf at Headfort Golf Club. Headfort's New Course was voted the No. 30-ranked golf course in Ireland, by "Golf Digest Ireland" in 2009. For those who can't manage a full weekend away but would love to experience Royal County Golf, why not escape on our one night wonder, we have customised our package for ladies and gents! The Ladies of Headfort Golf Club won East Leinster Final of the Irish Intermediate Cup when they beat Naas Golf Club by 3 ½-matches to 1 ½-matches at Seapoint Golf Club on Sunday 2nd September 2018. They were led out by Jennifer Martin (18) who won her match against Yvonne Frayne (16) by 2-holes, she was followed by Margaret Rooney (19) who lost out to Brenda Kilgannon (18) by 5 and 4, next on the tee was Paula Casserley (20) who won her match on the 19th against Sandra Barnett (18), in the penultimate match Mary Brennan (21) had a 2 and 1 win over Jacinta Kilduff (18) and the bottom match of Liz Gaffney (21) against Anne Higgins (18) was recorded as a halve when called-in. They made their way to Knightsbrook Hotel & Golf Resort to participate in the All-Ireland Deciders where they met Connacht Champions Bearna Golf Club in the All-Ireland Quarter-Final on Wednesday 26th September and went down by 3-matches to 2-matches against the ladies from the Galway. They were led out again by Jennifer Martin who won her match by 2 and 1 against Imelda McGovern, next on the tee was Jacqueline McCormack who lost out to Siobhan Smyth by 3 and 2, she was followed by Paula Casserly who also lost her match by 3 and 2 against Nuala Timoney, in the penultimate match Mary Brennan had a resounding 7 and 6 win over Clare Cunningham and the bottom match of Liz Gaffney went up the 19th before Breda Davies before Bearna secured the win and their place in the All-Ireland Semi-Final the next day. The Ladies of Headfort Golf Club won the All-Ireland Challenge Cup when they beat Munster Champions Ballybunion Golf Club by 4½-matches to ½-match in the All-Ireland Final. They had to do it the hard way when they played Co. Sligo Golf Club in the Quarter-Final on Thursday 22nd September 2016 at Dundalk Golf Club. First on the tee was Oonagh Clarke who beat Jean Barr by 4 and 3, she was followed by Susan Reilly who halved her match against Rosie Mullan when called-in next on the tee was Mary Bowler who had a 5 and 4 win over Emma Flanagan in the penultimate match Ita Cribbin had a very comfortable 6 and 5 win over Patricia Harte the bottom match of Helen Stafford was recorded as a halve against Patsy McElrone when called-in. They met the Ladies from Wexford Golf Club in the All-Ireland Semi-Final the following day they were led out again by Oonagh Clarke who beat Mary Walsh by 2 and 1, next up was Susan Reilly who had a 4 and 3 win over Mary Fallon, she was followed by Mary Bowler who went down by 3 and 2 to Deirdre Greer in the penultimate match Ita Cribbin beat Pat Flanagan by 4 and 3 the bottom match of Helen Stafford was recorded as a halve against Bernie Power when called-in. They met Munster Champions Ballybunion Golf Club on the Saturday to decide where the Green Pennant was going Oonagh Clarke led the way again and put the first point on the board with a 5 and 4 win over Mary Hickey Keane next up was Susan Reilly who had a relatively comfortable 4 and 3 win over Margaret McAuliffe she was followed by Mary Bowler who recorded a 4 and 2 win over Elva Clancy and with it the All-Ireland pennant the penultimate match of Ita Cribbin against Dori Cotter was recorded as a halve when called-in in the bottom match Patricia Tyrrell had the most comfortable result of all the matches when she posted a 6 and 5 win over Tess Noonan. According to my records it’s been some time since the Ladies of Hedfort Golf Club have had anything to celebrate (a bit like the Meath GAA team) which makes this All-Ireland even more special. Headfort Golf Club won the Leinster Final of the Barton Shield when they beat Lucan Golf Club by 5-holes at Dun Laoghaire Golf Club on Saturday 31st July 2010 having beaten NUI Maynooth by 1-hole in the semi-finals. They made their way to Castlebar Golf Club to compete in the National deciders and were drawn against Connacht Champions Galway Golf Club on Wednesday 15th September. Confronted with a very strong Galway Headfort’s Joe Dillon with Greg Mungovan beat Joe Lyons with Damien Coyle by 2-holes and Rory McNamara with Brian Casey had a very convincing 5-hole win over Eddie McCormack with Damien McGlynn, what a scalp. They met Ulster Champions Dunmurry Golf Club in the All-Ireland Final the following day Joe Dillon with Greg Mungovan again lead against Darren Crow with Patrick McGlone but went down by 5-holes, the bottom match of Rory McNamara with Brian Casey against Stephen Crowe Glenn McAuley was halved, so the green pennant went North. The Marquis of Headfort was a very keen golfer and by 1905 he had a private course laid out in his Irish estate in Co. Meath. He served as Captain of Co. Louth in 1908 and was the first President of Killua Castle Golf Club in 1922. In 1907, he opened the course at Navan and presented them with the Headfort Cup. 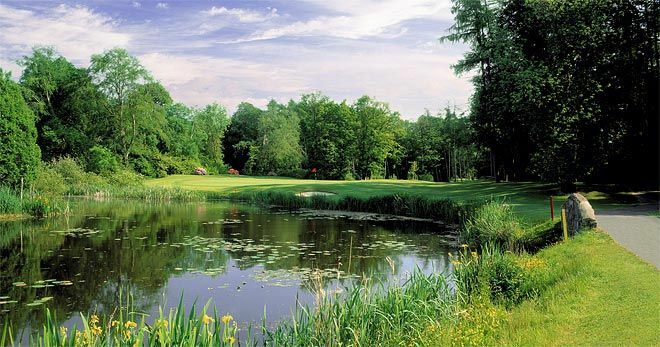 The present course at Headfort was founded in 1928, a fine new clubhouse was built in the early 1990s and an additional eighteen holes were laid out in 2000.